Elinor Leary is the team leader of the Leary Trial Team which handles complex cases that involve life-altering injuries or death. The Leary Trial Team has expertise with cases that involve construction and worksite injuries, defective products, dangerous property conditions, negligent security, car and truck collisions, and incidents that involve pedestrians and bicyclists. Ms. Leary has tried cases to verdict as well as reached large settlements in numerous other cases, including cases listed in The Recorder’s “Top Settlements” publications. The Leary Trial Team provides extensive knowledge of the civil justice system and a commitment to helping clients when they face difficult times after a catastrophe. We help clients who have suffered fractures, amputations, head injuries, brain injuries, spinal cord injuries, and burn injuries. We also help families who have lost loved ones due to the fault of others in wrongful death actions. We have experience helping construction workers, laborers, truck drivers, union members, and other professionals and their families. In addition to handling cases from start to finish, the Leary Trial Team also serves as trial counsel when colleagues call for last-minute help. Ms. Leary has been a clinical professor at the University of San Francisco School of Law, where she taught advanced law students case investigation, courtroom advocacy, jury selection, and trial skills. 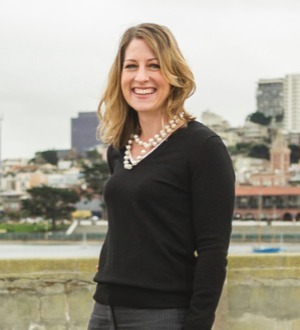 Ms. Leary believes in giving back to the community and devotes time to pro bono service for the San Francisco and Bay Area communities. Her pro bono work was previously recognized with nominations for the State Bar of California President’s Pro Bono Service Award and Jack Berman Award of Achievement. Ms. Leary enjoys travel, and lived for a time in Mexico City. She speaks Spanish fluently. She lives in San Francisco where she enjoys time spent with family and friends, preferably outdoors.